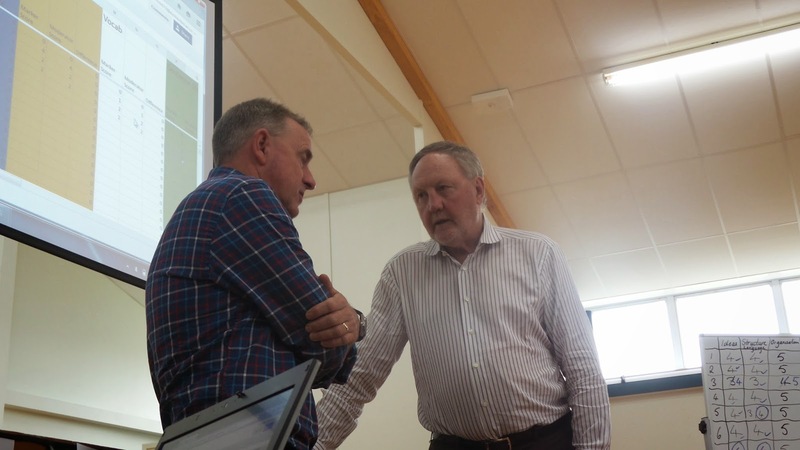 My thinking has been shaped by the visit of Michael Fullan this month, and the need to articulate ideas clearly for video interviews along with the opportunity for conversation with a wise and knowledgeable, razor-sharp mind. My thinking was also shaped and influenced by the landing of Mālama Honua on Pt England Beach this month and the ideas around the power of integrating ancient knowledge and wisdom with new technologies to achieve a brighter and better future. Many of the items of a high quality learning and teaching cycle have not changed in principle as we've shifted into a 1:1 digital medium for learning. These traditional successful practices constitute the "ancient knowledge and wisdom" pertaining to learning and teaching. As we've moved into a 1:1 digital reception, transmission and collaboration for and of learning, we have, of necessity, "sandboxed" and experimented with pedagogy and practice. We have needed to do this to investigate what the Woolf Fisher Research Centre have called "the affordances of the new technologies". We've now spent a couple of years moving through this phase and have reached the moment where we need to identify clearly the elements and understandings of our current successful practice and integrate the "ancient wisdom" with the new technologies just like Maui tiki-tiki-a-tāranga did when he made landfall here in Aotearoa. It should be noted that the 'Learning Teaching Cycle' is never linear or 'flat', but this is a useful way of trying to look at it and think about it. 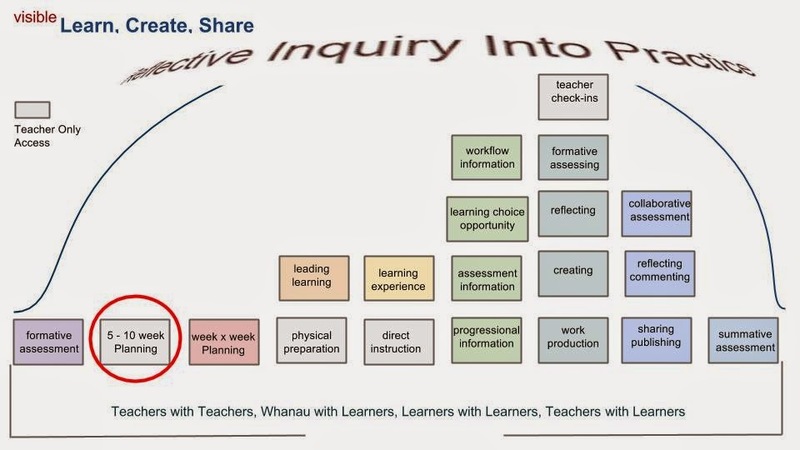 The grey boxes on this chart are the only elements that at present we don't intend to make visible to families, learners and partners in learning, other than the teaching staff. We do still intend to share those elements across the teaching fraternity. 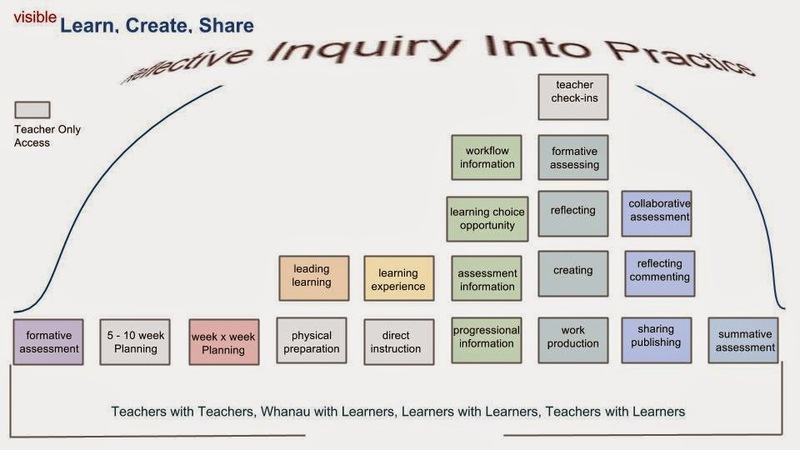 Each of the elements we expect to be present in a quality learning and teaching cycle that will strengthen both behavioural and cognitive engagement, needs to be unpacked and understood by teachers. When these elements are well understood, seen to be present and effectively actioned, our belief is that some of the goals expressed earlier in this post, will begin to be met without specifically focusing on the cohort or goal itself. An example of this would be the unpacking of the element; "Workflow Information" as understood from a learner perspective. 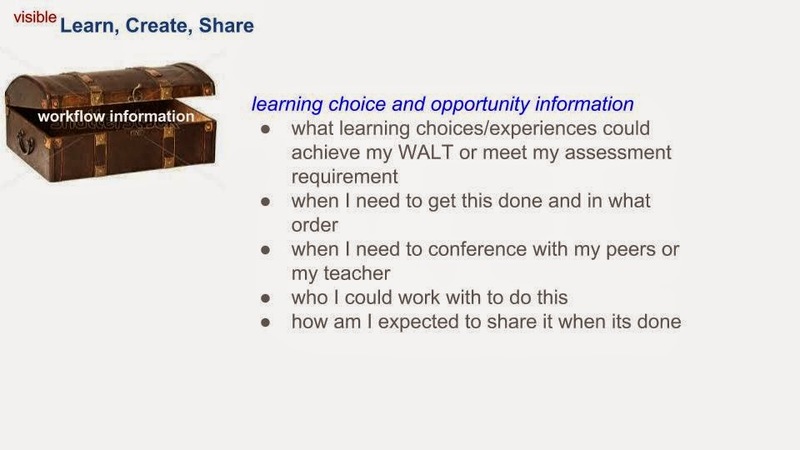 We are of the opinion that clarity about the items here will make a significant difference for all learners in our 1:1 digital and collaborative environment, but that it may be a real key to helping boys in their learning as typically they require explicit information, guidance and scaffolding in this area. We have also come to the conclusion that a close focus on longer term planning with the key development goals in mind will raise achievement in the desired areas. For this reason a term 2 focus @ Pt England, will be the functional, collaborative and workflow practices that are part of effective longer term (5 - 10 week) planning for differentiation and personalisation in learning opportunity. The unpacking of this element will need to wait for my next post.